Meet New People And Find Your Perfect Match! Set your sights-Define your goals, and chart a personalized course for your most successful dating journey, ever! Make your time count-Discover where all the "good ones" go and find the perfect person for you! Gain confidence-Work what you've got, from making first contact to making a date. Ace the date-Prepare to have fun, make sure you're the one they want to see again and again, and stay out of harm's way-from doorbell to goodnight kiss. Deal with dating downers-Empower yourself to deal with emotional pitfalls and finesse social challenges. 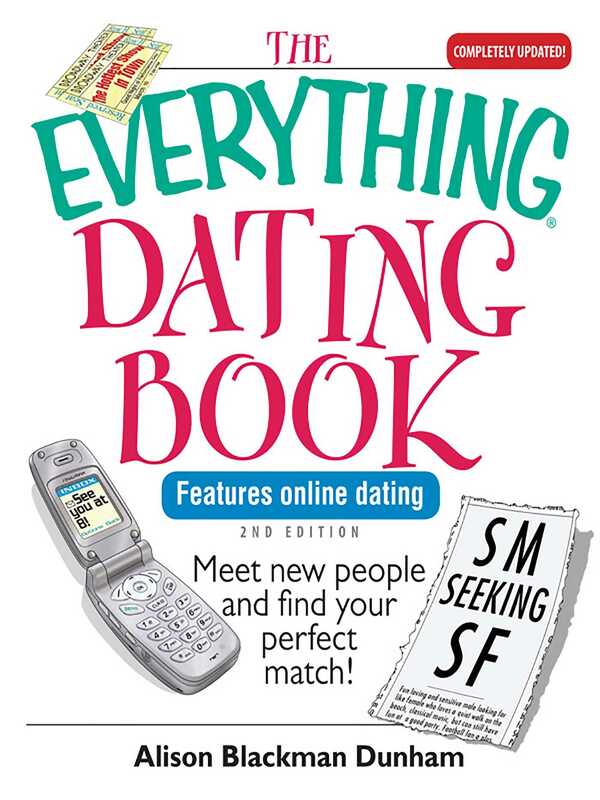 With innovative advice on everything from that key first date, to Internet dating, to keeping the fires burning, The Everything Dating Book, 2nd Edition is your one-stop handbook for finding-and keeping-the love you want!